Some new business owners opt to use their own personal credit cards to kick start their budding businesses. It may seem to make sense at the start. After all, you may already have existing credit cards and you won’t have to get the necessary documents to create a business entity in order to prove your business fundability to a credit card company to get one in your business name. The problem with using existing personal credit cards is that you will never establish business credit with them. On top of that, you load up your personal debt to income ratio with expenses of a business nature, and then if you need a personal loan for a home, automobile or other emergencies, you may not be able to get it. Another problem is that by using personal credit in the business you are increasing the risk that your personal assets are put at risk for business liabilities. Personal credit card companies report to all of the usual personal credit agencies, but that won’t help your business at all. Business credit reporting agencies are separate even when they are conducted by the same company such as Equifax. One of the biggest business credit reporting companies isn’t affiliated with a personal credit reporting agency at all. That’s Dunn & Bradstreet, and if your business isn’t showing up on their list, it won’t get any attention from lenders when you are looking for a loan latter on. The bottom line is, you’re going to have to eventually get all of the documentation for your business anyway. It’s better to take the time and do it right at the beginning and create business credit at the same time. Since the entire idea is to separate your business credit from your personal credit it’s preferable to not need to use your personal credit to back a business credit card application. Some credit card companies require a business to have a certain number of employees, usually more than 5, and be in business for more than two years before they will consider an application solely on the reputation of the business. Along with the benefit of helping you build proof of business fundability, using business credit cards helps you organize your business better. They give you monthly reports of expenses and you can dedicate specific cards to certain purposes. That is a great help for bookkeeping, and you can also take advantage of different business credit card rewards to save money on everything from airfare to gasoline. Read the fine print carefully. Business credit cards do not have the same restrictions personal credit cards do. Make sure the rates are understandable, and know if they can change the rates on you without notice. Beware of some business credit cards that can change their rates in retrospect. That can end up costing you a lot of money. Pay attention to when each particular card expects payments and make sure the payment due dates do not fluctuate. For many businesses a due date that can change, even just a few days from month to month can wreak havoc on their accounting system. Some businesses may consider unrestricted over the limit fees a bonus as they do not have to worry about being able to charge important equipment or services for their business even if they are at their limit or over it. However, those over the limit fees can drown you fast. It’s better to make sure the card you choose has a set limit, and decline overage insurance or protection. It will cost you more in the long run than learning how to control your spending. Tried everything and Still Can’t get a Business Credit Card? The hill can seem steep, especially for business owners just starting out with no proven track record or business credit to rely on. The thought of using secured credit cards to build your business credit when you can’t get an unsecured card may enter your mind. In personal credit circles secured credit cards require you to have money in an account that you can “borrow” against. You are effectively just using your own money to make purchases, and yes, you have to pay interest on using your own money with a secured credit card, but you will also be building credit when you make payments regularly. The problem with the idea of looking for secured business credit cards is that they aren’t readily available. Banks don’t offer secured cards to businesses because they aren’t profitable enough and most business owners can find better ways of building their credit than using secured cards. The Internet is an excellent resource for finding business credit cards. Search for business credit and you will find dozens of possibilities. Apply at your local stores where you normally purchase supplies. You don’t need a high limit to start, and you will build credit for your business on a monthly basis. Your favorite gas stations are another good resource for business credit cards. 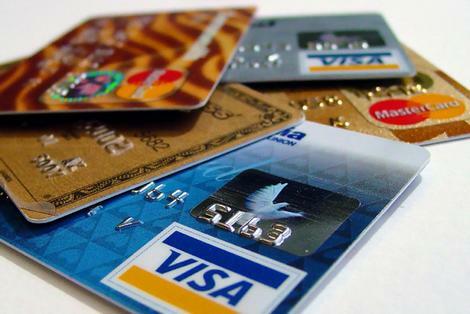 If you have a problem getting business credit cards without using your personal credit as a backup, make sure you add your DUNS (Dun & Bradstreet Number) to your account. That will make sure that credit is reported to their agency and boost your business fundability at the same time. However, make sure you ask if the credit company will report to Dunn & Bradstreet, some cards do not. American Express is a major credit card that does not report to D&B for positive credit information. They will however, report negative credit information so make sure you always keep your account in good standing no matter what card you choose.